When I first moved to Colombia, my plan was to travel around the Caribbean and Latin America. I had never visited Costa Rica, even though it was on my short list for years. So when some friends invited me to join them on a real estate hunting trip there, I jumped at the chance. Our first destination was in the northern highlands of Costa Rica. Surrounded by volcanoes, hot springs, and lush jungle, we arrived at Lake Arenal, an 85-square-kilometer, man-made lake. Our rental home was just outside Nuevo Arenal, a small town of less than 3,000 people on the northeast shore of the lake. In Nuevo Arenal you can do all your basic shopping for groceries, hardware, clothing, and more. There is a strong German influence, which includes the German bakery, restaurant, and the Chalet Nicholas Bed & Breakfast. Besides the comfort food at the bakery, El Corral in nearby Aguacate offers excellent local fare, and quirky Moya’s Cafe is well-known for tasty Italian dishes. If you prefer to shop and cook at home, you’ll find several grocery stores along with a small organic market and a tiny butcher shop offering mouthwatering marinated chicken. The butcher usually insists that you sample the chicharrón(fried pork belly), which he prepares daily. We rented a quiet vacation home overlooking the lake, surrounded by fruit trees and flowering plants. 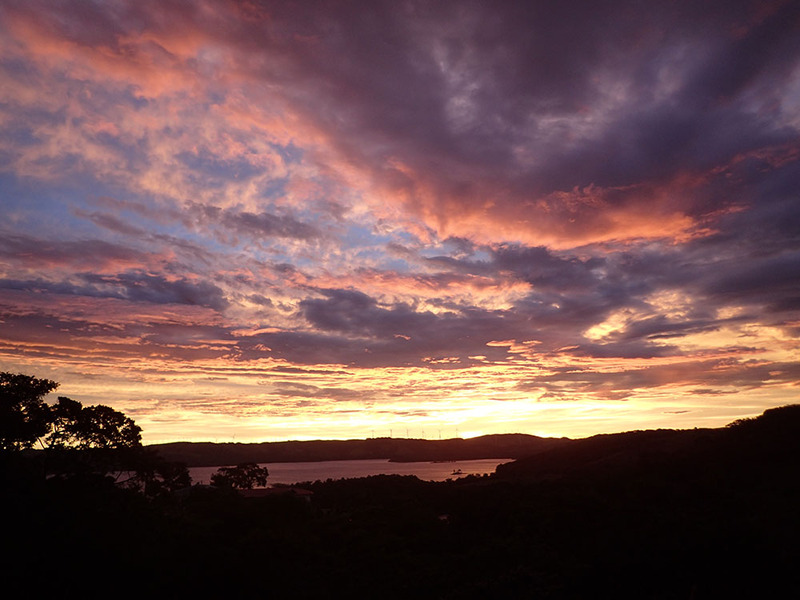 We woke to the songs of birds and howler monkeys while enjoying rainbows, which seemed to rise from the lake. At nightfall, the lake-view sunsets were some of the best I’ve seen. As my friends were focused on properties with a water view, we started our search on Lake Arenal. The lake is long and narrow with many fingers of land… which translates into lots of waterfront opportunities. A three-bedroom, two-bath home located on 25 acres of jungle (which can be subdivided) featuring great lake views, natural springs and rivers, and a multitude of wildlife, with a list price of US$279,000. In a gated, manicured, lake-view community, a three-bedroom, four-bathroom home offers an enclosed garage, pool, and 1.25-acre lot with room for an additional home and rental potential. This property is priced at US$280,000. On the northwestern shore of the lake, near the small town of Sabalito, a four-bedroom, three-bathroom home with volcano views has been renovated into three one-bedroom, fully furnished apartments that can be individually rented or operated as B&Bs. At 2,346 square feet, this home is near beaches that host windsurfers from December through March. The price was just reduced from US$159,000 to US$130,000. Two adjoining small lots with nice lake views are available for US$30,000 (409 square meters) and US$40,000 (742 square meters). Part of a gated community, both are well-suited for future building. A two-bedroom, one-bathroom “economy lake-view” home, walking distance to the town of San Luis, comes fully furnished for only US$59,000. 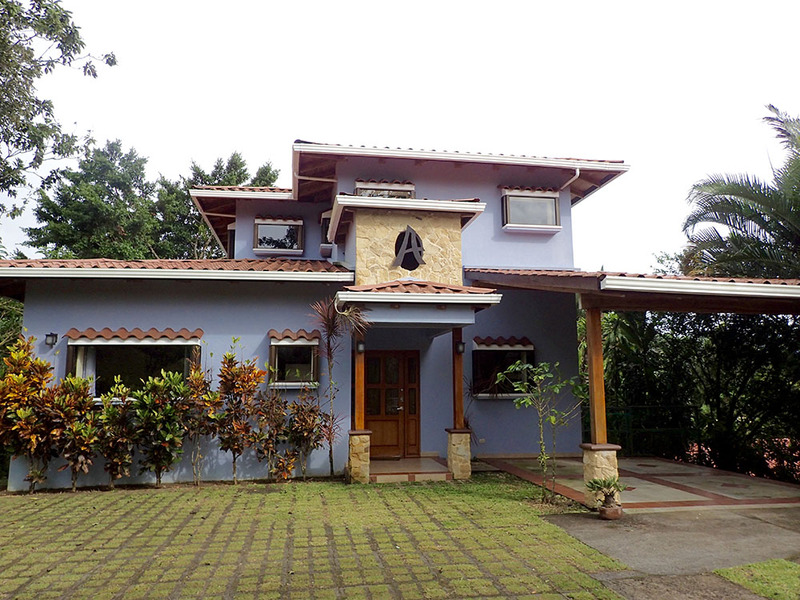 Another fully furnished, 800-square-foot (74-square-meter) studio-style home with 180-degree views of the lake located near Nuevo Arenal is listed at only US$110,000. The lot is large enough to allow for expansion and it’s located on a quiet, dead-end street. 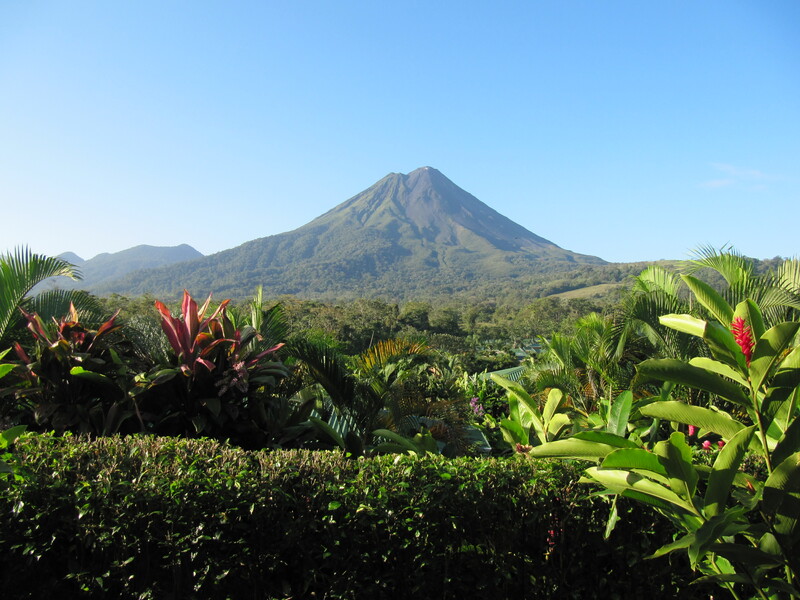 If lake views are not important to you, a newly renovated (to U.S. standards), three-bedroom, two-bathroom house in Arenal town is listed at US$145,000. A property with an unobstructed lake view featuring three ensuite bedrooms is currently listed at US$159,000, but the owners will consider other offers. For an additional US$6,000 they will also include a vehicle with the home. A practically new home with panoramic lake and mountain views on a half-acre of tropical landscaping (including a gazebo with Jacuzzi) is listed at US$219,000. This furnished home features one-level living in a private, gated community and includes a four-wheel drive vehicle. In the gated Rainbow Bay area, a two-bedroom, two-bathroom town house is listed at US$265,000. This owner is offering financing, which is uncommon in Costa Rica. The home is literally at the water’s edge, and the community includes amenities such as covered tennis courts, a pool, and boat docks with a clubhouse. A modern, brand-new dream home positioned on a quiet bay with direct water access (very rare on Lake Arenal) boasts a wraparound deck from kitchen to living room and spacious living areas with high-end features and appliances for US$385,000. This two-bedroom, two-bathroom home has two stories, but the upstairs is reserved for the master suite. This home is also in Rainbow Bay, so it shares the same amenities as the town house above. The towns around Lake Arenal are small, simple, and friendly with plenty to see. We spent one rainy afternoon sampling local artisanal beers at Lake Arenal Brewery following a personal tour from the brewmaster. A bit further down the road, the larger town of Tilarán (pop. 20,700) offers a laid-back, middle-class charm that is drawing more expats to this part of Costa Rica. 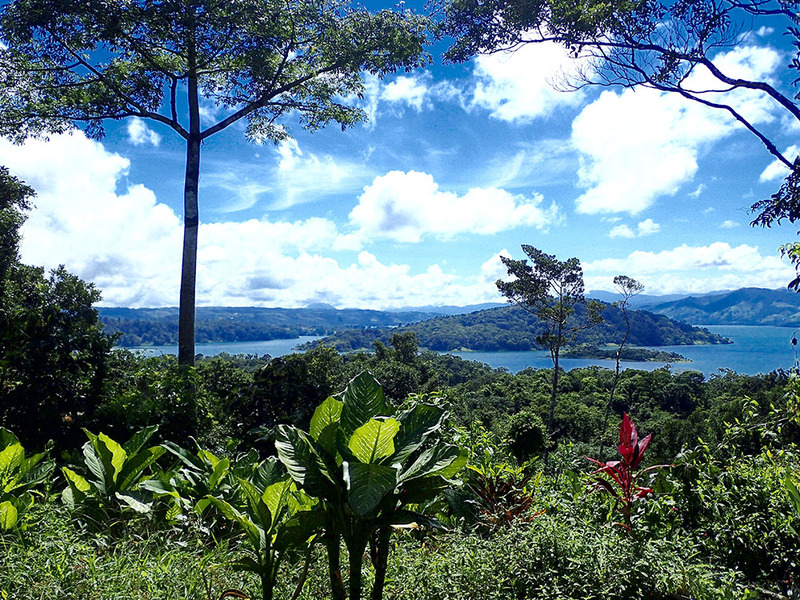 The Lake Arenal area is perfect for community-minded folks who appreciate natural beauty and outdoor activity. The Central Valley also offers cooler weather than the coastal towns, so outdoor living is much more comfortable. The main road around the lake is a winding, two-lane, well-paved route which makes it easy to traverse the entire lake and partake of the many adventure tours available. Be warned, however, that you will encounter several one-lane bridges along the way. Also, the secondary roads in this area may not be paved and can be extremely rough. A four-wheel drive vehicle is highly recommended. After arriving in Costa Rica a few weeks ago, I soon learned that the rainy season can last from March through mid-November. During this time, expect light afternoon rains several days a week… but due to the different microclimates throughout the country, some areas are drier than others. The dry months are from late-November through March, which makes it the perfect time to head to Costa Rica to get away from nasty weather up north. 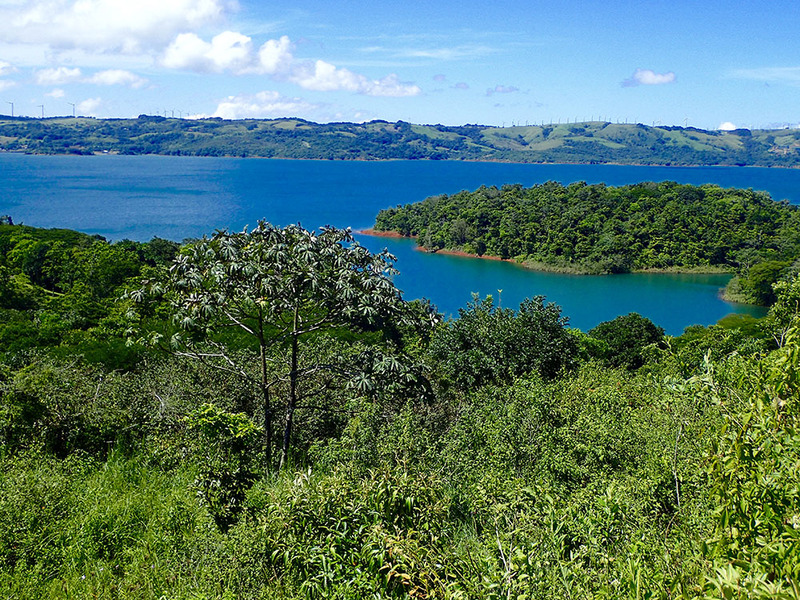 Lake Arenal is just over 1.5 hours from the airport in Liberia, Guanacaste. If you fly into San José, the drive will take you just over 3.5 hours if you take the toll road and don’t stop anywhere. Overall, if you are looking for a tropical yet temperate place to spend some time, Lake Arenal should be on your radar. Costa Rican Spanish is fairly easy to understand, as the native Ticos speak slowly and clearly. English is also spoken widely in this area. I certainly felt welcome and safe during my visit and enjoyed exploring this beautiful area of Costa Rica.